increase occupancy & improve revenue. Improve online reviews & ratings and increase your rank on trip advisor & OTA’s. Email Marketing & analytics marketing. 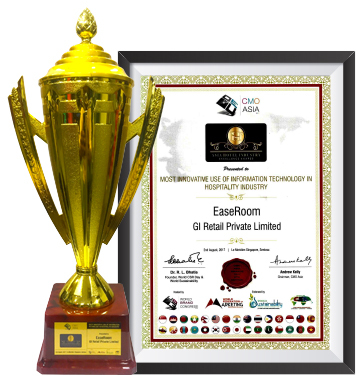 EaseRoom, a brand of GI Hospitalities, is a leading one stop Hotel Distribution Management Software for all vendors comprising small to large hotels, hotel chains, OTAs and all other travel tour agencies. EaseRoom, Offers an exemplary Travel Technology Solution that brings digital travelers to your hotel doorstep in a single click. 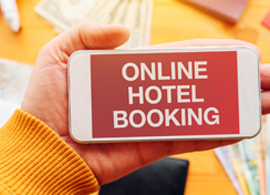 Delivering ultimate hotel management solutions by incorporating latest cutting edge technologies and proven business models that would help to bridge the gap between hoteliers and consumers to optimize profitability. Withstand modern-day hotel challenges by understanding customer needs and finding an automated way to stimulate your inventory management processes, all with the right platform. Understand & predict guest response patterns, develop customized packages, increase revenue & room occupancy. Providing actionable insights by analysing online customer reviews. 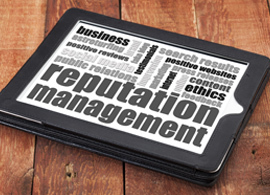 Improve Hotel online reputation & increase Credibility. We specialize in website & mobile app development. It helps extend your online presence which is professionally managed and executed. We uplift your website position in all organic searches by exploring result-driven SEO methodologies that maximizes your hotel’s online visibility across all traffic channels. Get Real-time Online Distribution update. Be Listed on Various OTA’s Channels & Avoid Manual entries. Real-time Intelligence. Measures performance of ADR compared to your competitor set. 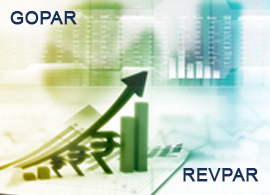 Get deviation of LAR analysis for your hotel. Manage your online and offline reservations from one single platform, Auto Update inventories, Reservation Block and Release, Manage Cut-offs, Embedded Call Centre Module. We connect you closer to global travel partners & maximize your visibility. We also assist you in participating in consortia and Corporate programs via Lanyon to increase your yield. Integrated Booking Engine offers promotion, packages, Add-Ons and rates in real time. Make a great impression on your customers & helps drive maximum conversion rates. With a mobile front office management system, the front office manager has the flexibility to access their Hotel Check-In and Check-Out round the clock, ant where and from any location. We bring you flexible, easy to use solutions to give you an advantage over others. Get a call back to know more. EaseRoom was founded by Ramu Anamalai Ramasamy and Palaniyapan Ramasamy, two serial entrepreneurs born in Chennai, India. 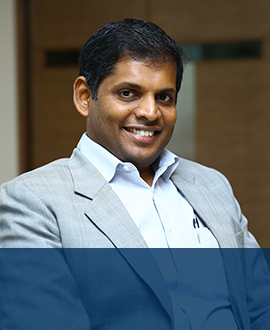 Ramu obtained a master's degree in Management Studies from BITS, Pilani31 in 1996, after which he worked with Morgan Stanley before joining the family business of paper trading in Chennai. 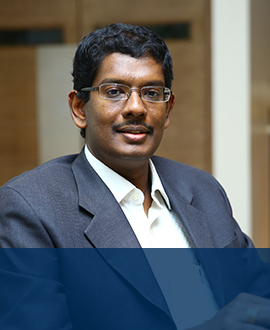 Palani holds a master's degree from PSG College of Technology, Coimbatore and joined the family business after university. 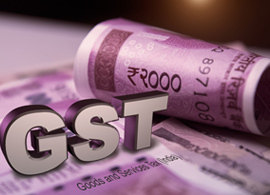 In 2000 Ramu and Palani founded their first of many e-commerce ventures culminating ultimately into what is today the Great Indian (GI) Retail Group. 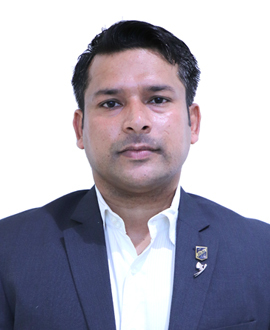 Mr. Pallab brings in 15+ years of experience in Hospitality Technology, with strong Product, Operations and Business Development Expertise, acquired from his previous assignments at RateTiger, Hotelogix and Reznext. A seasoned professional with 18+ Years of proven record in bringing innovation into equation in the Hospitality , Aviation and Tourism Industry. 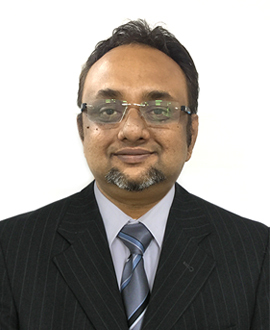 He has worked in Leading Companies like Djubo, Journiz and Amadeus before joining Easeroom. I would like to appreciate the way of working with EaseRoom Distribution System and I am really happy with the Technology and Operations of EaseRoom from day one when we have started using their system. Keep up the good work! Drive more Bookings from your Hotel Booking Engine.